This is an art piece of the colorful northern lights, it dances as the light hits it and brightens any room. 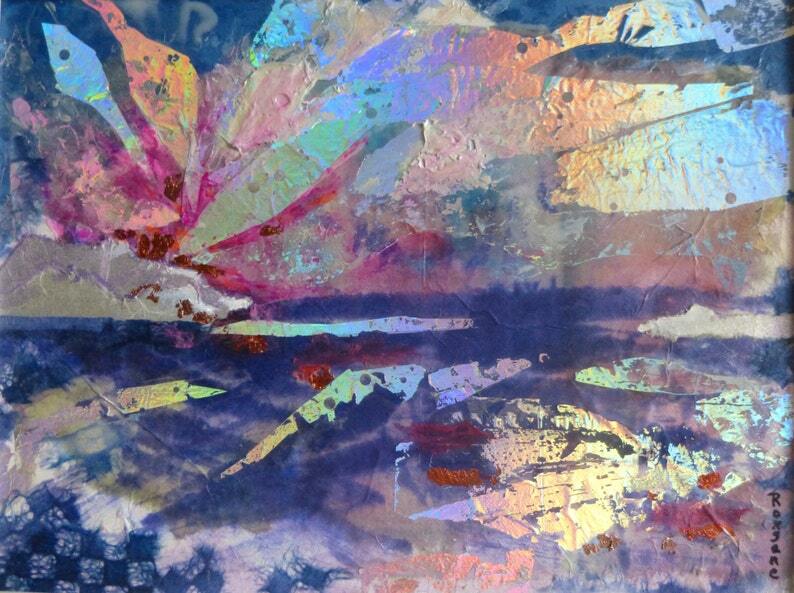 Its an original abstract painting that is full of light and beautiful reflections. If you like modern art, this is a perfect fit.